Saeima in Latvia yesterday passed in the first reading the budget framework for 2018-2020, in which the government resolves to reduce inequality, increase the minimum wage, ensure that 2% of gross domestic product go to national defense, and continue measure to improve tax collection, writes LETA. The legislation lays down fiscal policy principles and the main priorities of the medium-term budget policy. The first priority is improving Latvia's defense capacity and keeping defense spending at 2% of GDP. The second principle is fostering sustainable and balanced economic development by introducing a zero% tax on reinvested profits, reducing the labor tax burden, and providing extra funds, when possible, for national defense, health, demographic situation, and highway maintenance. The third priority is reducing inequality in Latvia by increasing the minimum wage, progressive personal income tax and others. The fourth priority is to increase the proportion of tax revenue in Latvia's GDP. GDP projections, at current prices, are EUR 28.36 billion in 2018, EUR 29.98 billion in 2019, and EUR 31.66 billion in 2020. The maximum budget spending in 2018 is projected at EUR 7.58 billion, EUR 7.89 billion in 2019 and EUR 8.33 billion in 2020. 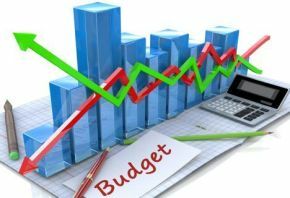 The legislation also deals with budget surplus amounts, fiscal reserves, the proportions of personal income tax revenue going to the state and municipal budgets, and others.